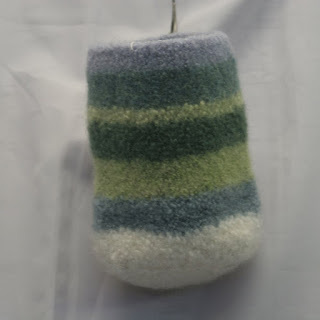 Here's something not usually seen here - something knitted and felted. It's from the stash that Kris gave me, and the yarn felts beautifully. I love how the texture is all nubbly and the colors get fuzzy. It can be a mail pouch or a knitting needle holder or whatever a person fancies.